Sogin, the state-owned company responsible for decommissioning nuclear plants and managing radioactive waste in Italy, is strongly committed to transparency. 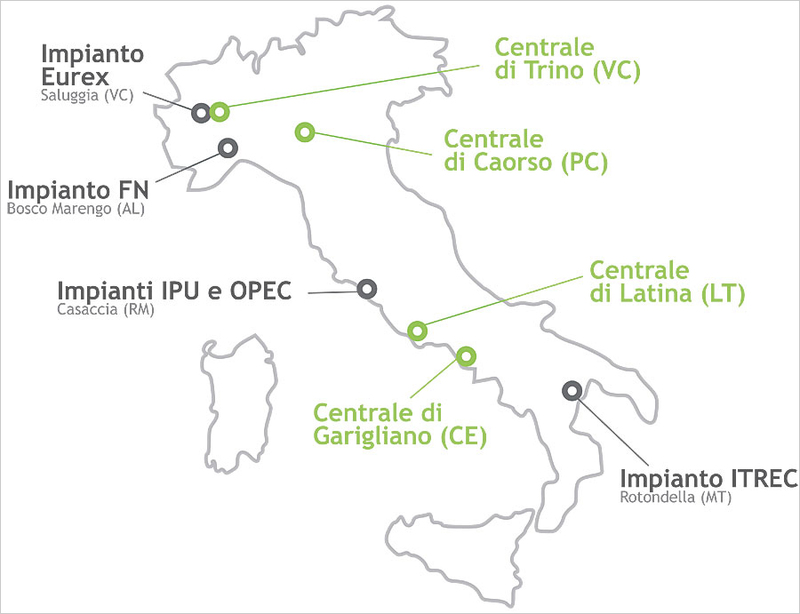 It is currently involved in decommissioning eight nuclear sites around Italy: the four nuclear power plants in Caorso, Trino, Latina, and Garigliano; the EUREX plant in Saluggia; the IPU and OPEC plants in Casaccia; the ITREC plant in Rotondella; and the nuclear fuel manufacturing plant in Bosco Marengo. To ensure that these areas are free from radiological substances and waste produced by medical, research, and industrial activities requires the most advanced technology with the highest security standards. Recently, Sogin’s decommissioning activities have intensified. The company has begun construction on CEMEX in Saluggia, which will process the radioactive waste left over from EUREX. There have also been key developments at the ICPF cementation plant in Rotondella, which immobilizes radioactive waste from the old ITREC plant. Additionally, the chimney at the Garigliano plant has been demolished. To promote awareness of the work Sogin is doing at these nuclear sites, strengthen its relationships with stakeholders, and bolster dialog with local representatives, the company implemented communication plans that are in accordance with Italy’s environmental compatibility laws. In addition to publishing information online about the decommissioning projects and holding press conferences, Sogin developed RE.MO. (which stands for Rete di Monitoraggio, or Monitoring Network), a portal that allows the public to keep track of the company’s work. The biggest challenge of this project was creating a portal that could supply up-to-date environmental data in an intuitive layout using simple language. With help from Esri Italia, Sogin built a custom ArcGIS Online web app that displays the latest information about Sogin’s decommissioning activities, as well as the environmental monitoring the company does in and around each nuclear site. The fully responsive app—which supplies stakeholders with all the maps and data in Sogin’s geographic database—has been up and running since January 2016. It can be accessed on any device, connecting users immediately to the information they need. RE.MO. has one main graphic interface that gives users access to information about each nuclear site. The commands are linked together by queries that modify the content without changing the website view. So each time a user clicks on something, the layout stays the same and just the information changes. Throughout the app, there are links that users can click if they want more information. This way, RE.MO. meets the needs of Sogin’s various stakeholders without being overwhelming. In the Activity Status section, users can employ a time slider at the top of the map to examine the evolution of operations at each site in six-month increments and evaluate overall progress. Stato Avanzamento Lavori (Activity Status): This section describes the nature and duration of decommissioning operations at each nuclear site, along with information about their licensing procedures. Using a time slider at the top of the map, users can examine the evolution of operations at each site in six-month increments and evaluate overall progress. This information is updated every six months. Monitoraggio Convenzionale (Conventional Environmental Monitoring): This section contains the results of the periodic surveys Sogin carries out to quantify any effects that project activities have on a nuclear site’s surroundings, such as the atmosphere, surface and groundwater, vegetation, flora and fauna, landscape, and noise. In the map, users can click on icons that depict various monitoring sites to open pop-ups that contain summaries of the environmental analyses. These pop-ups highlight any anomalies that have been discovered and include links to the reports Sogin regularly provides to nuclear control authorities. Information for this part of the app is updated either every six months or every year, depending on the site. Monitoraggio Radiologico (Radiological Environmental Monitoring): This section has the results of the radiometric analyses conducted on environmental and food matrices in locations near nuclear sites around Italy. For this, Sogin monitors the atmosphere, surface and groundwater, terrain and grass, sediment, and fallout, as well as fruits, vegetables, meat, milk and dairy, and fish. As with the previous section, users can click on icons in the map to display more information about each monitoring site, and the pop-ups contain links to the longer reports that Sogin produces for control authorities at regular intervals. The updates to this section are added on a yearly basis. Monitoraggio Cantieri In Corso (Monitoring of Functioning Sites): This section allows users to view site areas of great significance from an environmental point of view—that is, those that could have immediately perceptible effects on people and the environment. This monitoring focuses on air, noise levels, and landscapes. 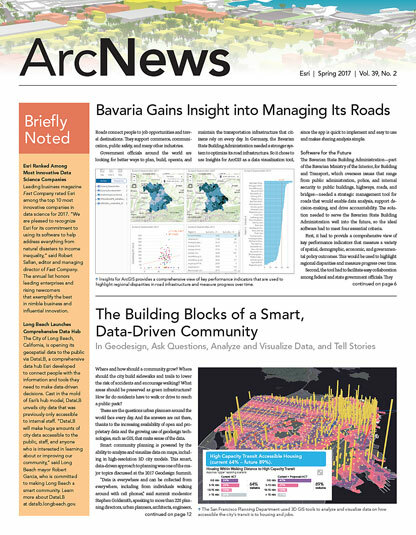 To guarantee congruence between communicating environmental data and the actual evolution of activities on-site, this data is published approximately every 20 days. By implementing RE.MO., Sogin has achieved its objective of increasing transparency around the activities it carries out at Italy’s nuclear sites. This has strengthened its relationships with institutions and the public. What’s more, RE.MO.’s intuitive user experience enables Sogin to communicate what’s happening with extremely complex operations in simple ways that are accessible to all. Sogin shared its experience of making RE.MO. at the 2016 Esri Italia User Conference, where the company received the 2016 Tecnologie per l’Ambiente (Environmental Technologies) award.